Conceived to realize smooth skin for lively women. Revive and soothe your skin with select silky hair. "SUVÉ" brushing skin care, presents a new style of skin care. Make daily skin care, relaxed high quality time. "SUVÉ" unique designs would make salons and hotels proud yet are simple and elegant in your home. Beauty and function are incorporated into the shape. "SUVÉ" brings charm to your room creating a pleasant space for quality skin care. Intimacy of skin and brush demands no compromise of quality. Thus, each and every "SUVÉ" product is handmade by skilled craftspeople of Kumano. Discernment and expertise are the essence of our brand. "Core belief" in 180 years of Kumano brush making inherited into "SUVÉ" brushing skin care. 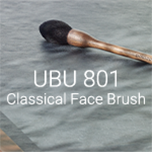 © 2017 MIZUHO BRUSH CO., LTD.